I started cycling at age of 10 and raced in national and international races. Than at at age of 22 I changed the sport and become triathlete, where I competed in all distances from sprint triathlons to IRONMAN. I finished three ironmans, Australia 1998 (10:05), Switzerland 1999 (10:20) and Germany 2000 (9:36). I also finished half IM 2003 where I was 57th overall with a time 4:19. After that year I'm just training for fun. Since 2001 I'm working as a sports teacher in school in Maribor. 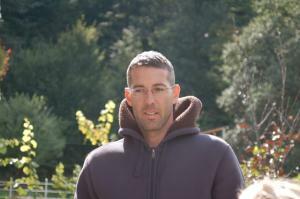 I studied at Faculty of sports in Ljubljana, graduating in 2001 as a physical education teacher and triathlon coach. In a year 2000 I worked as a coach, for junior cyclists in cycling club in Maribor. After that I worked with several triathletes who raced in races from sprint to IM. One of them were also IM Hawaii finisher. All of my athletes with IM finish goal also did it in their first attempt. Wish to train and become better athlete. Success. Coach Jurij Lovse has been notified of your message.